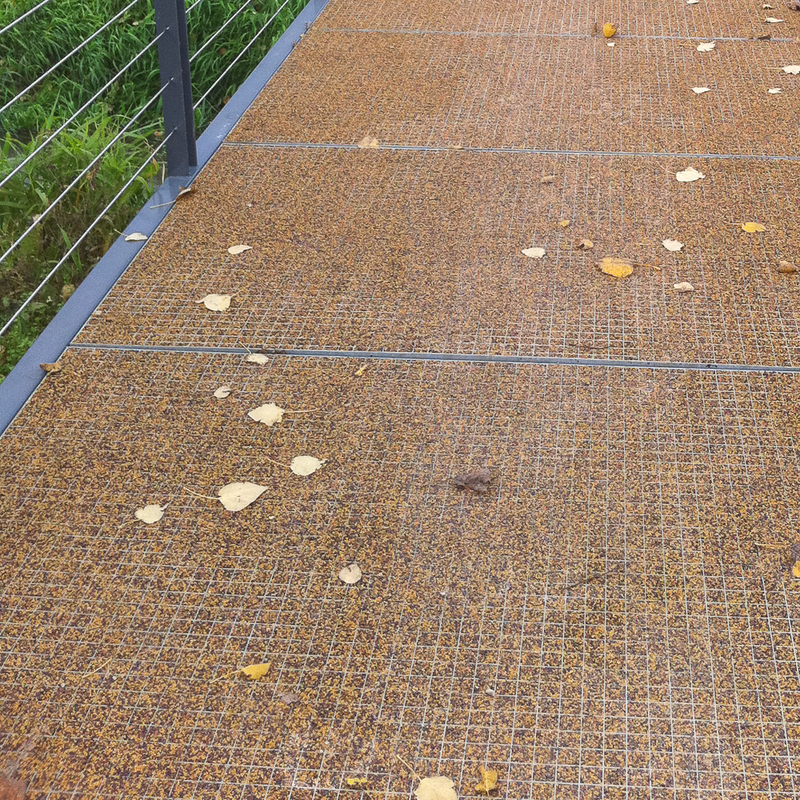 Artdeck® is a galvanized steel grid of 33x33 mm - 1”x1” mesh filled with resin-bounded rubber granulate, resulting in a sound- absorbing deck covering. In terms of form, Artdeck® produces a strong graphic image. 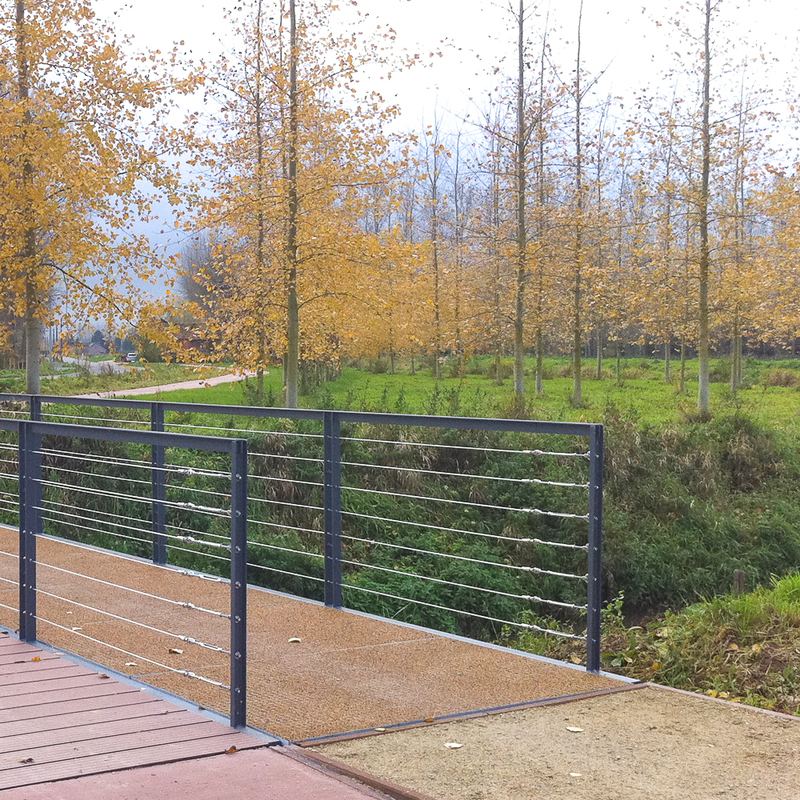 Artdeck® is very slip-resistant, requires little maintenance and is completely porous. The standard colours are camel and anthracite coloured mixture. Various colours are available on request. Artdeck® is patented. 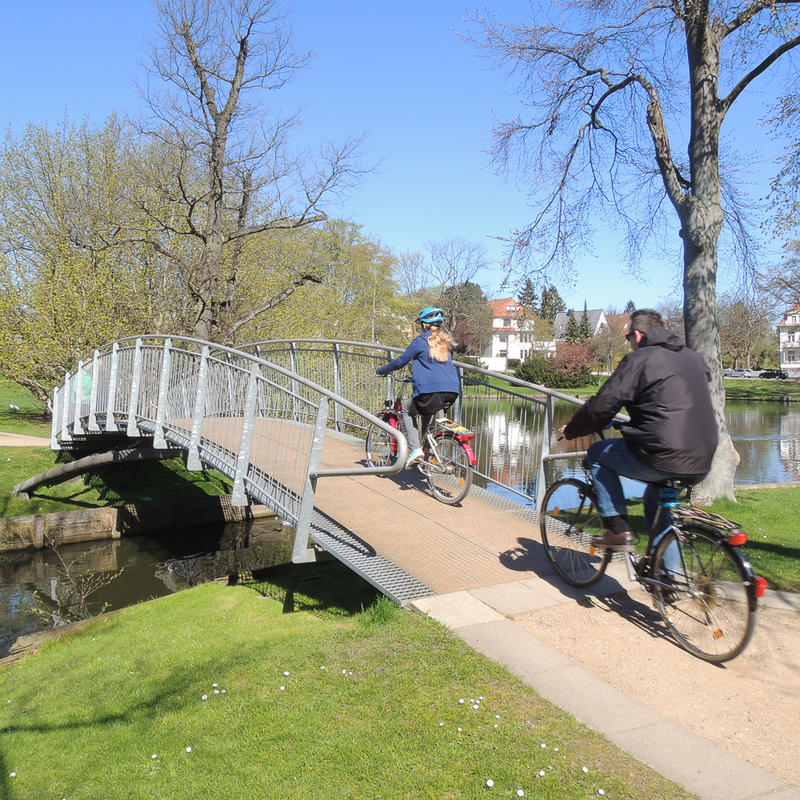 Streetlife’s pedestrian and bicycle bridges have an even load-bearing capacity of 5 kN/m² in line with international norms. 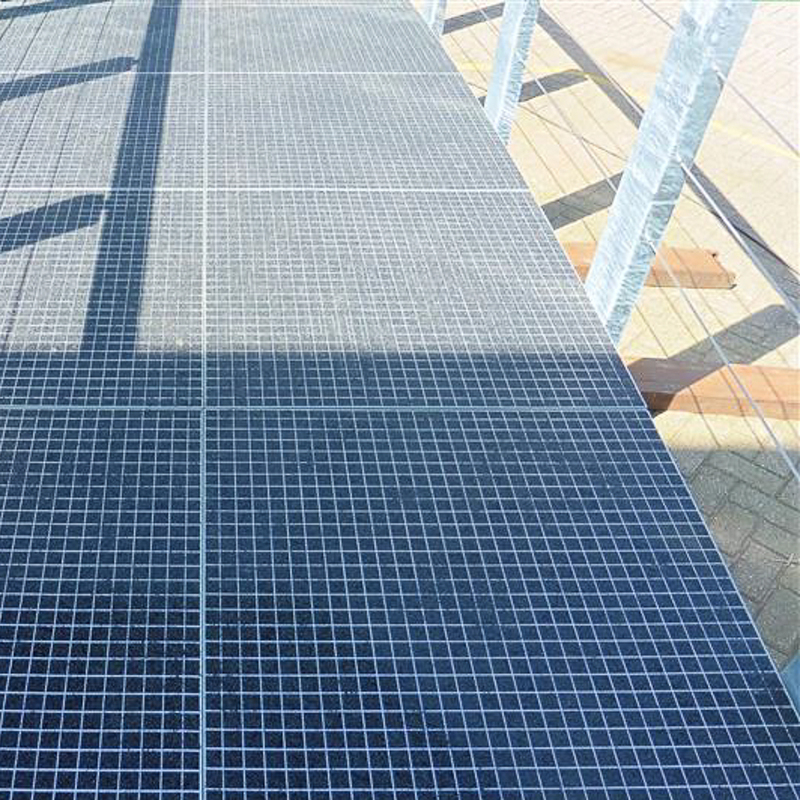 With 5 kN/m², the heart-to-heart span is 120 cm, with the application of a steel grid with a carrying bar of 4x0,3 cm - 2”x0.1” and mesh width of 3,3x3,3 cm - 1”x1”. Artdeck® is delivered in modules of 120x100 cm | 47"×39", the thickness is 4 cm | 1½"